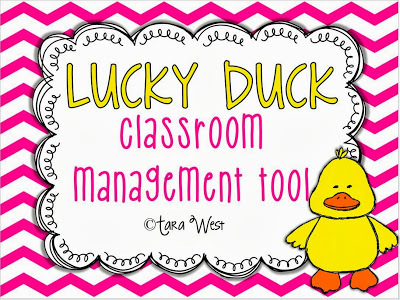 Alright friends it’s Monday and I am here with a quick classroom management freebie! This is not an original idea I’m sure so I don’t take any credit for it! I started this in my classroom a few weeks back and it’s being going great so I wanted to share with you! too many classroom management tools. that students struggle to stay on task. decide if that student was successful. 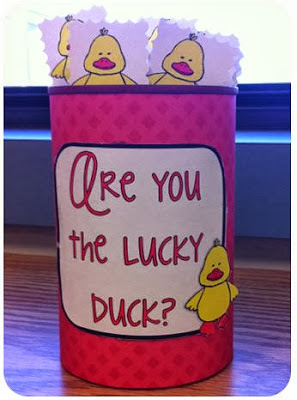 lucky duck” label for your can/cup. Click the snap shot below to grab the freebie! Have a super week! I will be back with ideas on writing captions! I'm definitely doing this! My kids are very motivated to move their clips up so I think this just might get some of them to focus better during Daily 5 time AND those crazy restroom break times! Thank you so much for the idea. 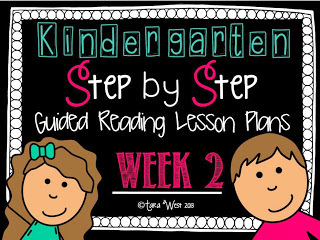 I linked your post on my blog:www.spoonfulsofkindergarten.blogspot.com. I think this is a great idea! It should keep students motivated to stay on task! I am a college student learning how to become a teacher. I love reading blogs to get ideas to help prepare me for my first year of teaching. Thank you for the adorable and fun classroom management tool!